The Store is up and running at the new location, 821 S Arizona in Butte and hours are Fridays 12-5:30 and Saturdays 10-2. If you haven’t visited yet, come say hello this week and see all the items we have for sale, you never know what you’ll find! Donations may also be dropped off during these hours only, thank you! ReStores rely heavily on the community to provide donations and volunteers. Every item for sale in the store has been donated by a member of the community. Please help us spread the word that we accept used and new building items like doors, windows, sinks, cabinets, tubs/showers, etc! If it’s related to building/renovations and someone else can use it, then we want it! We are a 501(c)3 nonprofit, so your donations are tax deductible, just ask for a donation receipt at the time of your donation drop off. Items must be clean and in good usable condition. Items needing minor repair are OK. 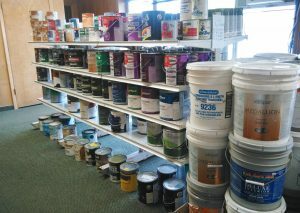 If you know someone who owns a business that needs to unload stock or someone doing renovations, tell them about us! 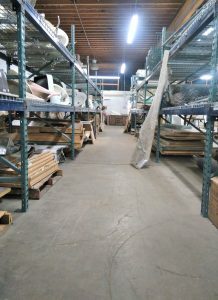 The more people that know that Butte has a ReStore, the more variety and better quality of items we can offer. Volunteers help assist shoppers, organize inventory, receive donations, move bigger, bulkier items, and whatever else needs doing. If you’re a people person who likes DIY projects, come volunteer a day in the Store, we’ll love to have you! Big changes are coming to the Butte ReStore and we couldn’t be more excited about it. The first step is to move everything from the old space to the new one. We are looking for volunteers that are happy to do some packing, lifting, and organizing for any amount of time during the day on Fridays beginning (8/12). Please call Meghan at 782-8579 or email meghanb@nahn.com if you can help. This is just the first step to open the new ReStore. There will be many long term volunteer positions coming up to help run the store, so stay tuned if this isn’t right for you or you can’t make it! The excitement is building along Hancock St in Butte! 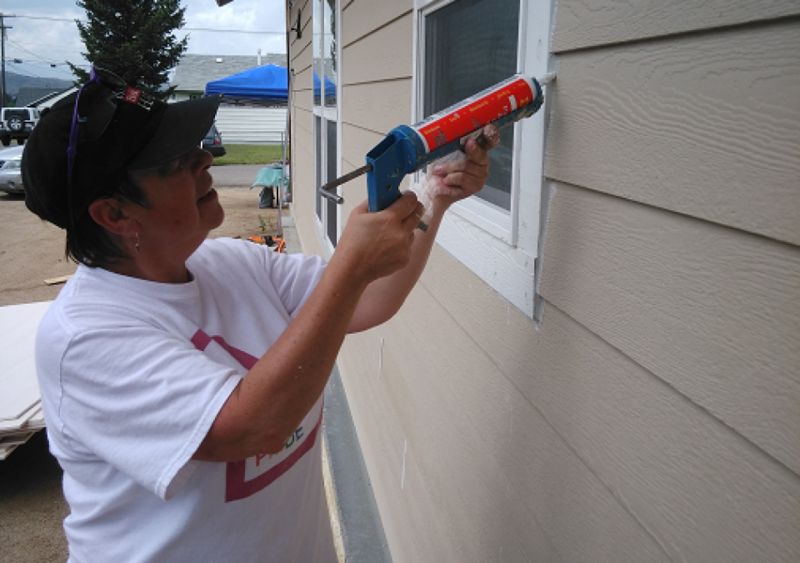 Habitat for Humanity of Southwest Montana hosted the 2016 BuildAThon in early June. The BuildAThon was a marathon five days of community volunteers working alongside the homeowners to help them get a jump start on construction. This year’s event was a huge success! 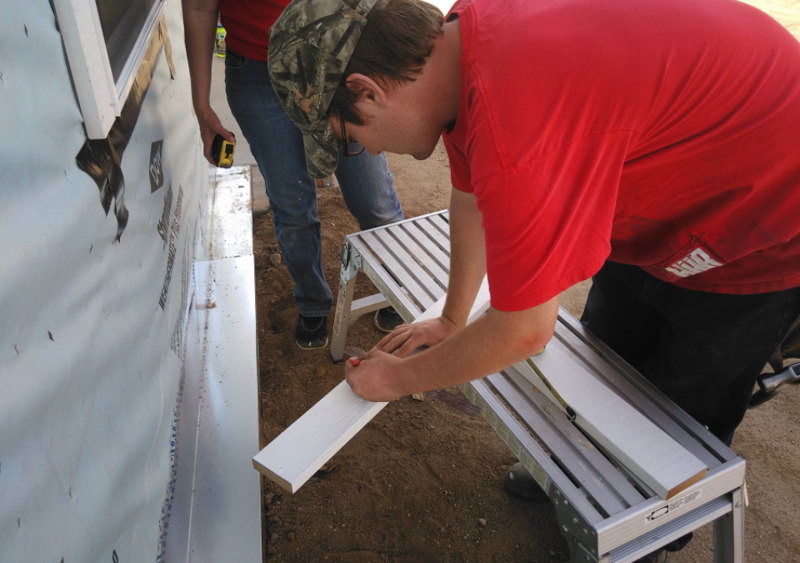 In five days 64 volunteers came out to lend a hand and collectively contributed 427 hours of their time. Because of this huge outpouring of generosity a ton of progress was made on the homes. Siding was hung, walls and trim were painted, soffits were installed, sheetrock was unloaded and hung. 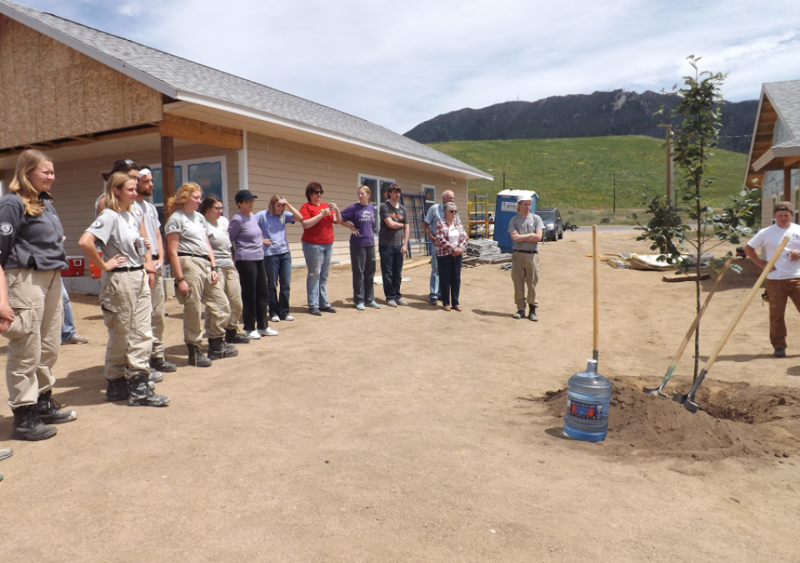 The event wrapped up Sunday afternoon with the planting of two trees in memory of the late Mike Nutter, Habitat’s 15 year Board President who passed away unexpectedly this past December. The Habitat staff and the homeowners were blown away by the turnout and everyone here would like to extend a huge thank you to the community and to remind everyone that participated (as well as those that couldn’t make it) that you are welcome back. Special thanks to the local businesses that donated food to keep the volunteers fed and happy: Subway, Dominos, Pizza Hut, Silver Bow Pizza and to the organizations that came out in force: Silver Bow Developmental Disabilities Council, Fountainhead Coworking, MEPS, MT Tech, and AmeriCorps NCCC! The BuildAThon is the kick start to the volunteer building season, and these homes are just the first in a series to be built on Hancock, so please, if you haven’t already, be sure to send us your e-mail address here to stay informed. 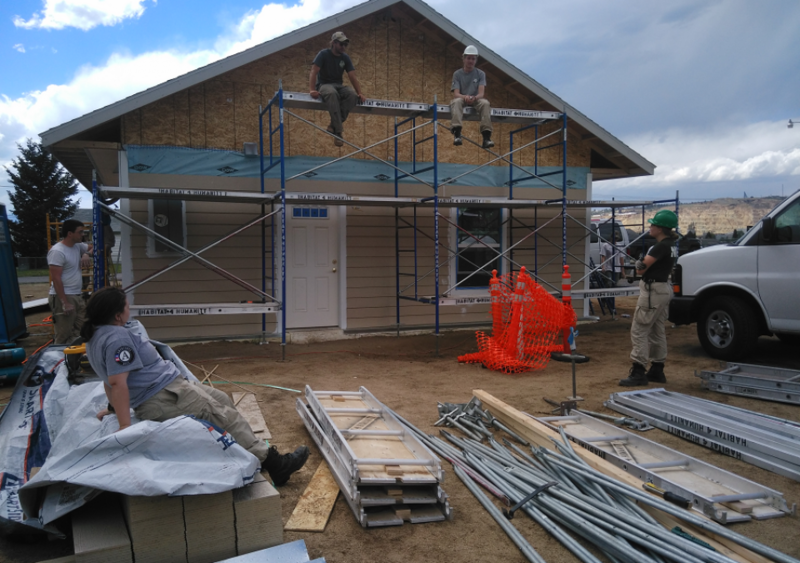 Habitat invites the community to be a part of the 2016 BuildAThon June 8th to 12th, five days of volunteers and homeowners coming together to push to complete eight new homes on Hancock St in Butte. 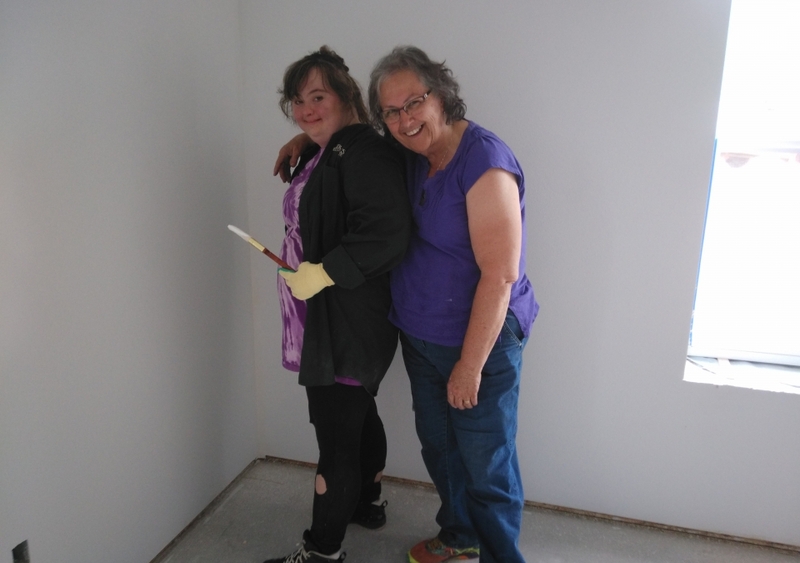 From 10am to 8pm, June 8-10 and 10am to 4pm June 11 & 12 Habitat is calling on the community to lend a hand to sign up for a shift here so we can keep the progress going non-stop! We invite individuals, clubs, businesses, organizations, faith groups, anyone willing to lend a hand to come out for a day or more! All skill levels are welcome, all we ask for is a willingness to learn and work hard. Adults only, please. 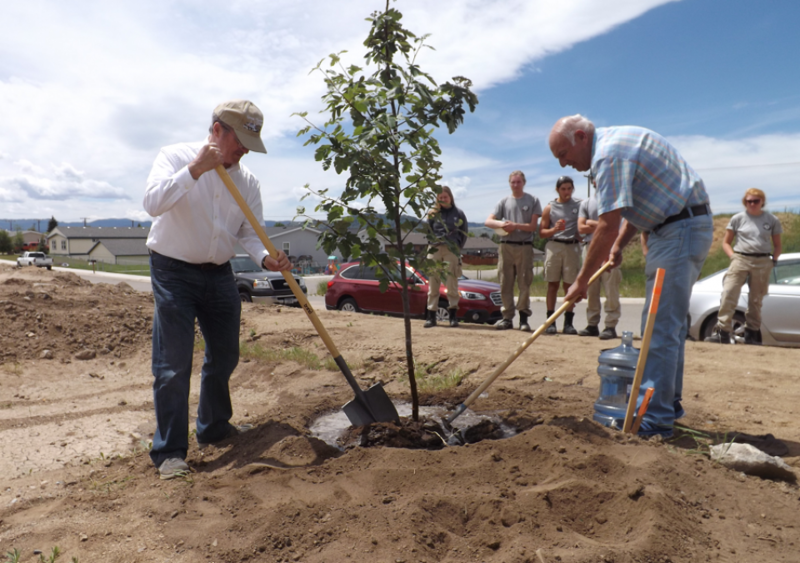 The week will culminate on Sunday afternoon with a ceremony in celebration of our late Board Chair Mike Nutter’s many years of service and dedication to Habitat for Humanity of Southwest Montana.